Beautiful quilt stitched lovingly for a very worthy cause. Nice job, Kitty! what a wonderful outcome! so happy for you and the school that your quilt was a very popular item! and you know who will be cuddling up with it! sweet! I just knew that the right little girl would get your quilt! Since she is your daughter’s friend then her parents most certainly know that it was handmade too and stress the beauty and art of it… and I’m sure you’ll get some nice firsthand feedback too. PLUS, you daughter can go visit your quilt from time to time too! Wow, March start and March finish… impressive! 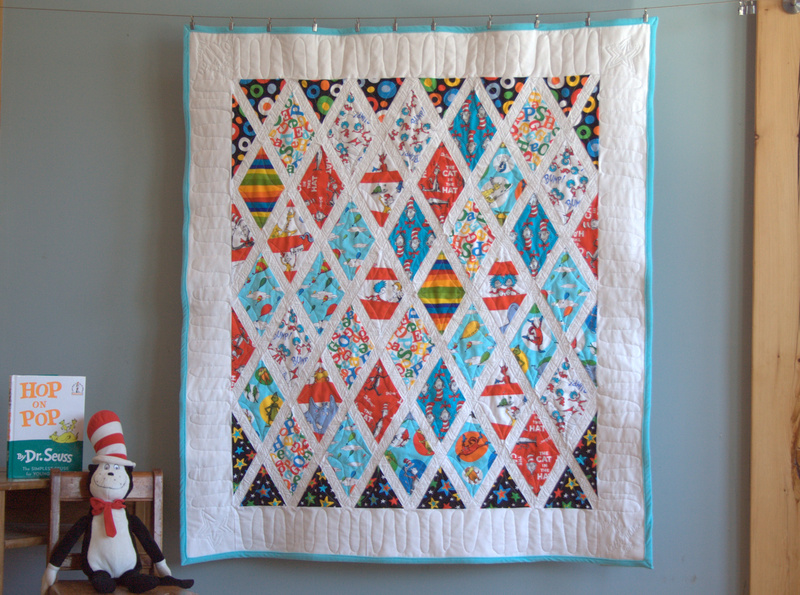 Lovely quilt, and such a good cause! Great job, Kitty! Congrats on your finish. It turned out beautifully. I can see why it was a coveted basket! You should be pleased. It looks so great with all of the Dr. Seuss books. I’m actually feeling a little jealous of the recipient after seeing the spread. Way to squeeze it in and make a difference for your little school. Congrats on the fundraising efforts, that’s wonderful that you raised so much! 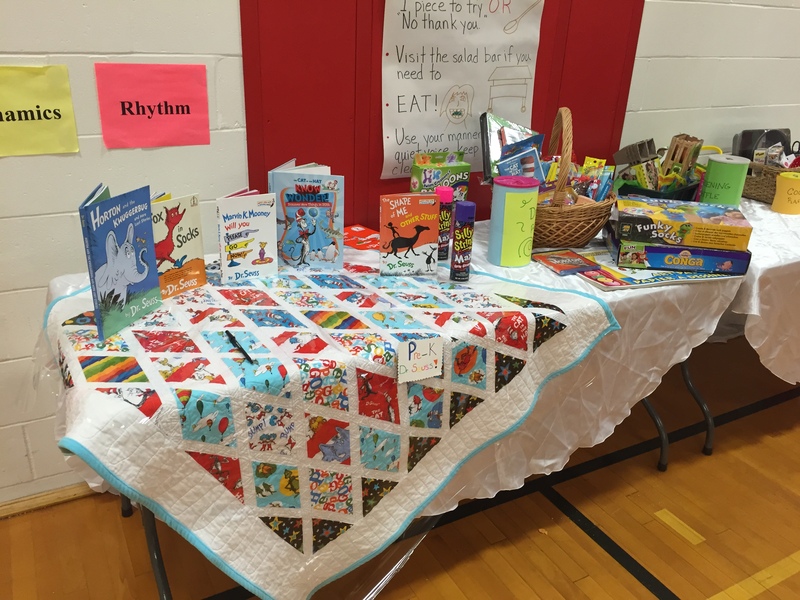 I love how great your Seuss quilt looks all laid out with the other Seuss items. So glad to hear that the fundraiser was a success and that a little person you know will be curling up under that cozy bit of fun!